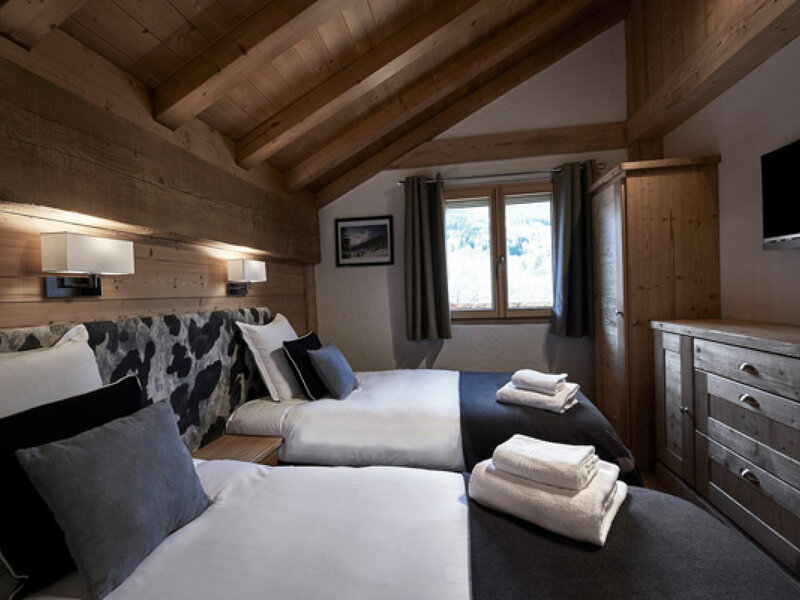 Chalet Chamois is ideal for a family or a small group of friends. 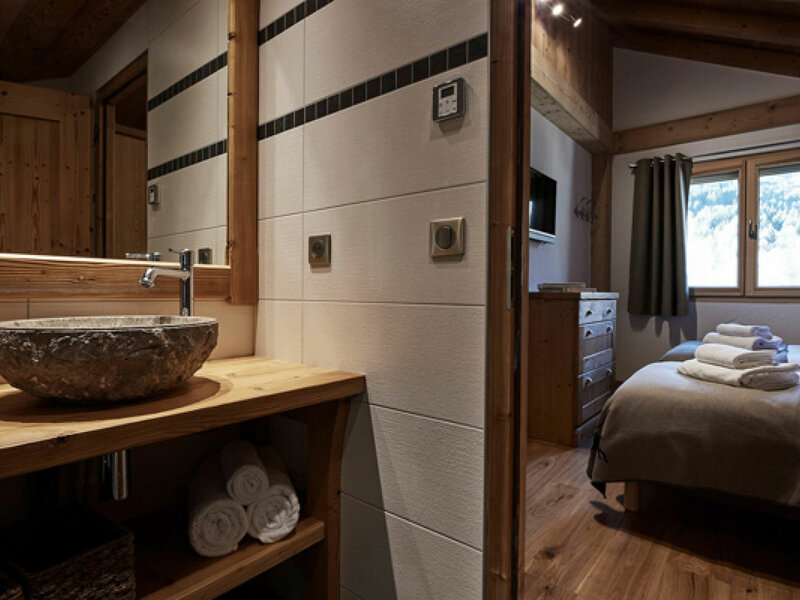 It sleeps 8 with 4 private en-suite bedrooms. 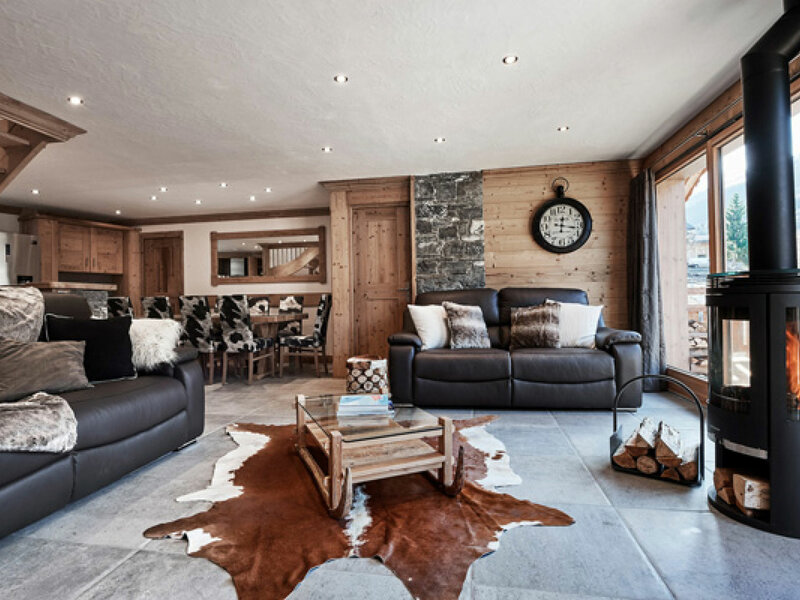 The large open plan dining-living area is flooded with natural light and the French doors lead out onto the south facing terrace where you can absorb the mountainous view of the valley. 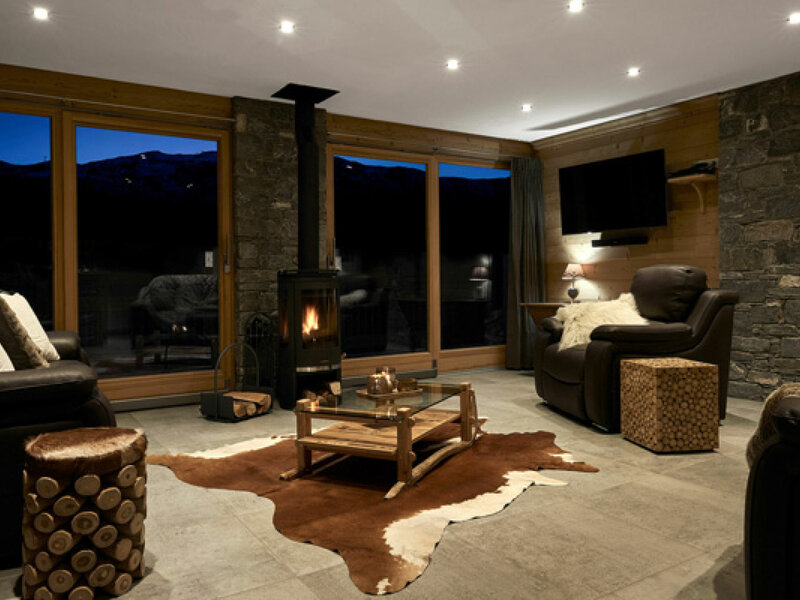 All this coupled with big comfy sofas and even a drinks bar, make for a very sociable chalet where evenings will be spent recounting the days’ adventures around the roaring log fire. 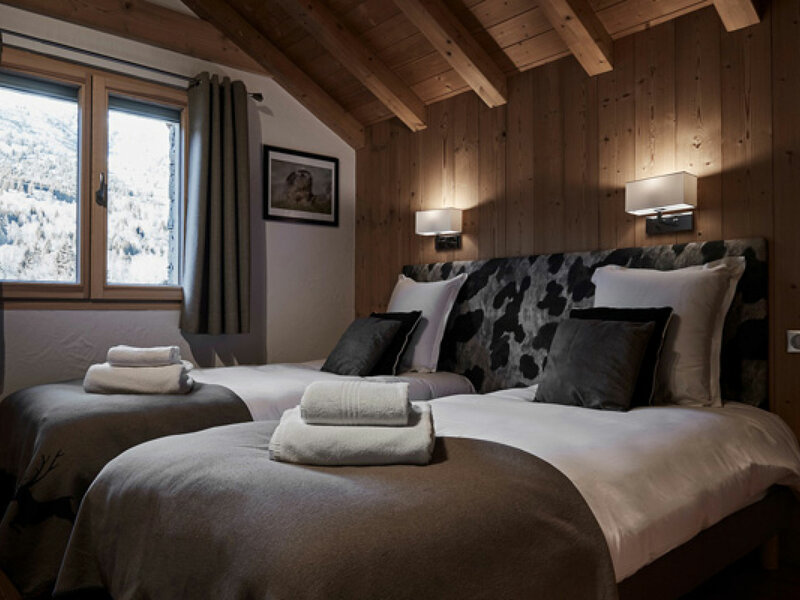 Chalet Chamois neighbours both Chalet Brenettes (sleeps 8) and Chalet Lapin (sleeps 6). 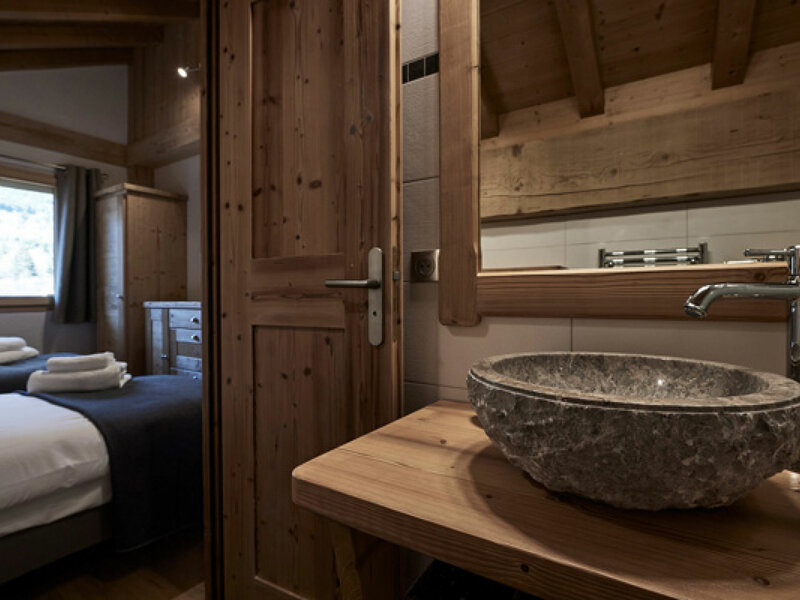 For a larger group therefore we can offer various catering options if taking any of these chalets together. 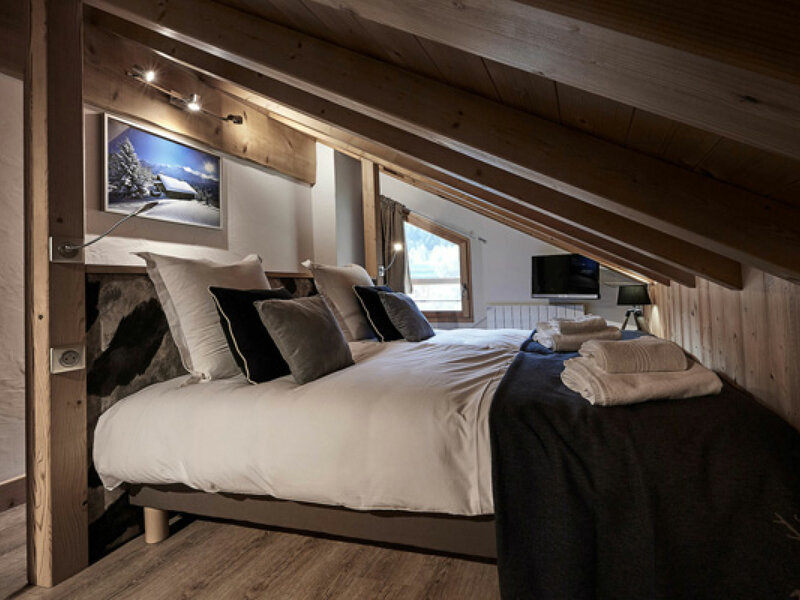 Catered board basis; Breakfast, afternoon tea and cake, three course evening meals with unlimited wine on 6 out of 7 nights, earlier kids tea if required. 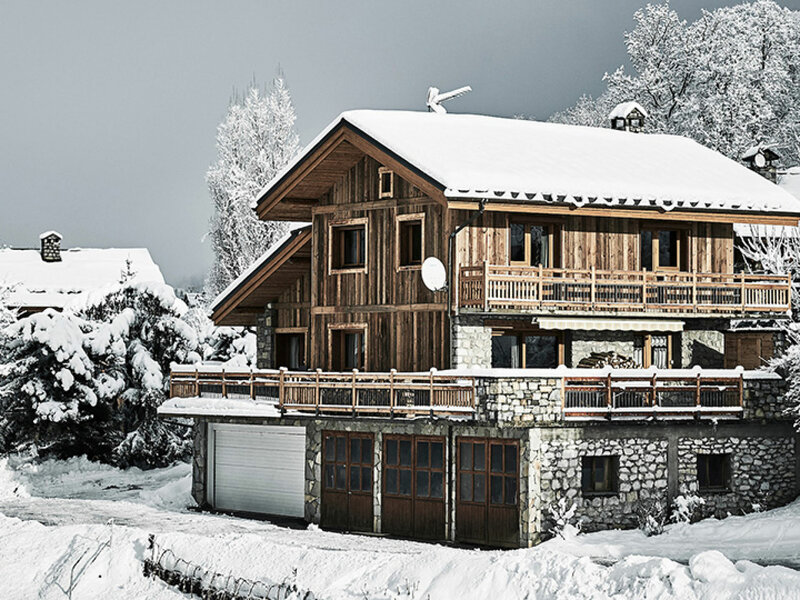 Meribel centre location with an easy 5 - 10 minutes walk to shops, bars, restaurants and slopes.